Posted by National Admin on 26/06/2018. Former Equestrian Australia (EA) Chairman Geoff Sinclair has been appointed to lead the FEI Eventing Risk Management Steering Group (RMSG). Sinclair will head up the steering group that includes highly respected cross-country course designer Mike Etherington-Smith, former Olympic athlete and cardiologist Rob Stevenson and Swedish Eventing Team Coach Staffan Lidbeck. The sole focus of the FEI Eventing RMSG is to reduce horse falls in the sport. “Ensuring riders are coached properly to ride XC safely and help reduce horse falls is another area we will all work hard to achieve over the next few years,” said Sinclair. 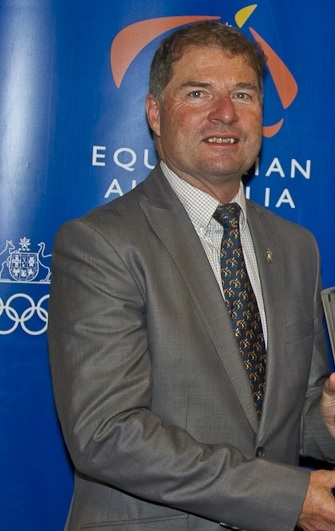 Sinclair, who has officiated at many Eventing competitions throughout Australia this year praised the sport for its continued focus on improvement of safety. “Events, officials and riders have really stepped up their game and learnings and we are proud to see such acceptance and change,” he said.